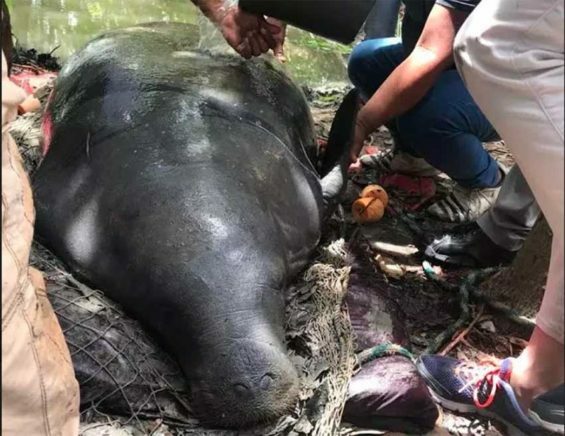 As many as 50 manatees have died, floating to the surface of rivers and lagoons in Mexico’s southern state of Tabasco, where some of the country’s major oil wells have been operating for decades. But in the weeks the followed, more and more dead manatees were found in the state’s waterways. Fishermen reported that suddenly they weren’t catching anything, and dead fish also began floating to the surface. For about 40 years, Mexico’s state oil company, Petroleos Mexicanos (PEMEX), has operated oil wells and gas facilities in the vicinity of the die-off.